This chapter provides detailed information on the procedures for inventorying and disposing of tagged university property. Oversight for these responsibilities lies with Central Property. Taggable equipment has all of the above characteristics, but its value is $1,000 or more. If departmental inventory exceeds $1,000,000 including all university, federal, private, foreign, and/or state-owned property, it is recommended that a minimum of 15 percent of the Equipment Manager’s or designee time be devoted exclusively to property-related matters, including annual inventories. If the departmental inventory exceeds $250,000, it is recommended that a minimum of 10 percent of the Equipment Manager’s or designee time be devoted exclusively to property-related matters, including annual inventories. For all other departments, it is recommended that a minimum of five percent of the Equipment Manager’s or designee time be devoted exclusively to property-related matters, including annual inventories. Each department is accountable for and must take a physical inventory of all tagged property, regardless of ownership, at the close of the fiscal year or as otherwise directed, with the Department Head acknowledging responsibility for the equipment. Any changes, such as shortages, overages, building number, room number, or nomenclature changes are to be reported. At the completion of the inventory, Central Property shall notify the Property Accounting Office of the inventory results. The Property Accounting Office will provide reports to agencies as required. After the close of each fiscal year, beginning on or about September 1, Central Property will notify all departments that physical inventories of all taggable property are due on a pre-determined date. Each department shall scan bar code labels on property and upload the data into the inventory database. Departments repeat this process until all items have been accounted for and data uploaded. An Inventory Certification, sent to the department by Central Property, shall be completed, signed with proper signatures and returned to Central Property. The inventory shall be completed in time for notification of all lost or missing items to the Board of Regents (BOR) at the following May meeting. Departmental personnel responsible for conducting the annual physical inventory should not be named as the Custodian of any property within their department being inventoried. Departments should identify a back-up staff person to assist with the physical inventory process under these circumstances. All available resources should be used in an effort to locate misplaced or unaccounted-for tagged property. Any tagged property not located during the inventory process should be explained in an attachment to the inventory listing, detailing departmental knowledge of the last whereabouts of the equipment and possible reason(s) for the misplacement. These misplaced or unaccounted-for items should not be reported to the NMSU Police Department unless it is suspected the items have been stolen. Departments shall be aware that excessive reported losses may result in a reduction in allocated Equipment Renewal and Replacement funding. All inventories should be submitted by the deadline, as outlined in the inventory announcement, in order for Central Property to complete year-end closing on the total NMSU inventory. Any inventories not submitted by the deadline may be referred to the Chief Audit Executive for follow-up. Immediately upon completion or termination of a Government contract, the property custodial department, or the Principal Investigator (PI), must contact Property Accounting Office for procedures. Central Property staff will provide necessary training on property control and inventory procedures for an individual or group on an as-needed basis. University property may become surplus, obsolete, damaged, or worn out and, therefore, of no further use to the responsible department. Such property can then be traded in on new equipment, cannibalized, or transferred for redistribution and use, or disposal according to State and University procedures. A department may not unilaterally dispose of University property without prior approval. Disposals or transfers should be noted on an Inventory Change Request (ICR) form and sent to the appropriate office as directed by the ICR instructions. The responsible department should coordinate with the Central Purchasing Office if it desires to trade in an item on the purchase of a new item. If the trade-in is agreed on, the Purchase Requisition (PR) should fully identify the item to be traded, including full description, manufacturer, serial number and NMSU inventory tag number. Before the trade-in leaves the responsible department, the inventory tag will be removed, if possible, attached to a completed ICR form and forwarded to Property Accounting with a copy of the Purchase Order (PO) showing trade-in. It may be desirable and advantageous to cannibalize an item of property when that item can no longer be used for the purpose for which acquired and cannot be economically repaired but its components or parts are useable in a like item of property. After cannibalization, all residual components of the original property, along with the inventory tag, must be turned in to Central Property together with a completed Inventory Change Request (ICR). If no inventory tag and/or residual components are turned in to Central Property, the item will be reported to the Board of Regents as missing at the time of physical inventory. Regardless of value, any stolen taggable property must be reported immediately by the Department Head or Principal Investigator (PI), to the Campus Police, or if off-campus, to the local authority. A copy of the police report must be sent to Central Property. Taggable property discovered missing after a physical inventory, either by the responsible department or Central Property, may not be reported as stolen unless there is evidence of theft. Missing or unaccounted for equipment will be removed from the inventory records after approval by the Board of Regents. The PI or Department Head must report to Central Property if the lost or stolen equipment contained sensitive data. All property which is declared surplus or excess by a department will be reported on an Inventory Change Request (ICR) form. Pick up by Facilities & Services of the item(s) will be made as soon as possible after the ICR form is received. Items that are unusable will be disposed of by FS public bid sale, by auction or through salvage in accordance with New Mexico State Statutes. If the University holds title to property acquired under an award with an outside agency, which includes recovery rights and the funding agency requests transfer of such property to another institution, it may be transferred. Before transfer is initiated, a determination must be made for responsibility of dismantling and shipping costs. Prior to the transfer of any property, the originating department shall ensure that all sensitive data has been removed. When property is transferred between departments, no change is made in the recorded value of the property. It is reported to Property Accounting by the transferring department on an Inventory Change Request (ICR) form. The form must bear the signature of the receiving department head, acknowledging receipt of the equipment. The building and room number must be included on the form. Sales or trades of property will be allowed only between NMSU departments and applies to all property regardless of value or whether or not tagged. Central Property must be notified after any interdepartmental sale or trade by submitting an Inventory Change Request (ICR) form. Any sales or trades that involve a fund expenditure require Administration and Finance Office prior approval. Title to property rests with the University rather than with the department; therefore, the sale of or advertising for sale of property is prohibited, except as provided for in the Disposition and Donation Policy, section 4A.25. Sale of property between departments shall be at fair market value. The selling department will receive 100 percent of the proceeds to their departmental index. All vehicles sold, traded or donated inter-departmentally must have a safety inspection performed by Facilities and Services (FS) prior to the transfer. Prior to issuing the authorization to transfer the property, any noted safety defects must be repaired and recertified by FS. The selling department will complete a Journal Voucher charging (debiting) the index provided by the buying department. The credit index should be the index that was used to originally purchase the property item. If any other index is to be used, the department must contact their fiscal monitor to determine if appropriate. Account 780100 will be used on both debit and credit side of the entry. The completed Journal Voucher must be submitted to the appropriate fiscal monitor for processing. An Inventory Change Request (ICR) form must be completed by the selling department and signed by an authorized representative of the purchasing department and sent to Central Property, who will make the necessary departmental change. Sales to the general public are handled by Central Property. The selling department may receive a percentage of the proceeds to their departmental index. Central Property may coordinate sale of property at community colleges or other off-site locations. Surplus Property is responsible to ensure all copyrighted software, sensitive data, and personal files are deleted from any computers or equipment turned in. Surplus Property will remove and destroy all hard drives on computers or equipment slated for public sale or coordinate with Information and Communication Technologies (ICT) on State Auditor-approved methods to sanitize hard drives. Departments shall be responsible for removal of any sensitive data prior to any interdepartmental transfers and, if sensitive data is stored on any lost or stolen equipment, to notify the Office of the Chief Information Officer (CIO) and IT Compliance Officer for proper handling, documenting and reporting to the appropriate federal agency regarding data privacy compromises. All property to be disposed or donated must meet the requirements of the surplus disposition statutes of the State of New Mexico and the Board of Regents’ policies. Disposition or donation of all property deemed to be surplus and eligible for disposition or donation will be coordinated with, and administered by, Central Property. No tangible personal property will be donated to an employee or relative of an employee of NMSU, provided that nothing in this subsection and nothing in this process precludes an employee from participating and bidding for public property at an NMSU-sponsored public auction. 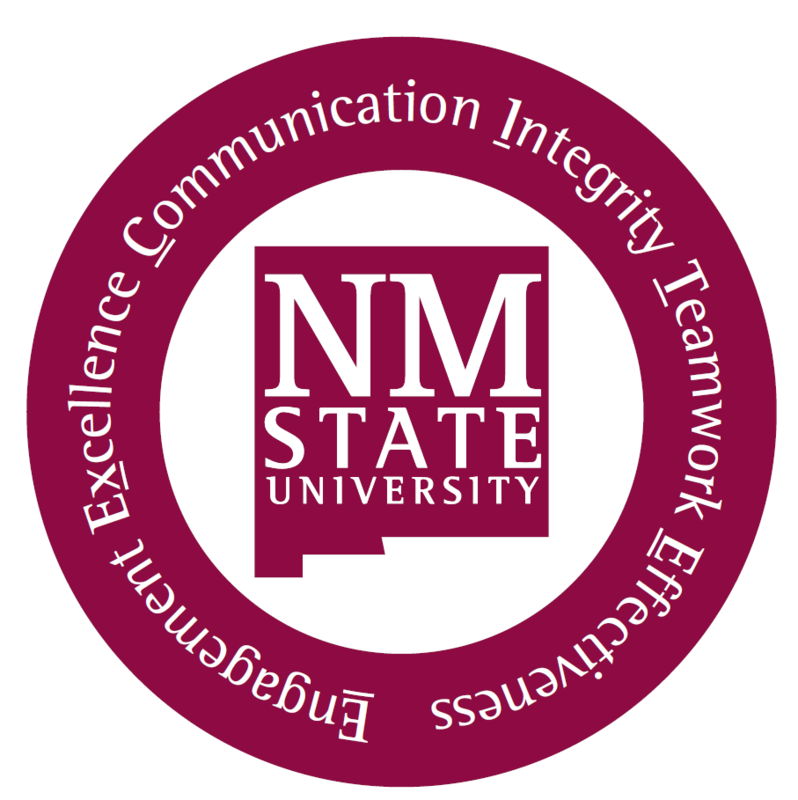 NMSU reserves the right to sell by auction or sealed bid, any surplus property that in the judgment of the Senior Vice President for Administration and Finance or designee would be in the best interest of NMSU. If a University employee keeps personally-owned property on campus, it should be reported to the department and identified as property of the owner. The reported item(s) will be marked, labeled, or tagged to indicate ownership. The University assumes no liability for loss of, or damage to, the property. Property to which title is not vested, but is in the care and custody of the University, cannot be loaned without specific written approval of the title-holder. If property is loaned to another department for a short period, a custody receipt or memorandum of the transaction will be filed in the lending department. If the period of the loan exceeds one year, it will be reported to Central Property on an Inventory Change Request (ICR) form by the lending department. Condition of the item and date of expected return will be noted. Loan of property to a faculty or staff member or a student for off-campus use in a university program must have prior approval from the Principal Investigator (PI) and/or the Department Head of the responsible department. The lending department will maintain documentation of custody for the duration of the loan. Locations of off-campus property must be reported to Central Property. Condition of the item and date of expected return will be noted in the documentation. Any loan of property to be utilized in a non-University role must have prior approval of the Department Head and the Senior Vice President for Administration and Finance. Any property being loaned should be documented by the lending department to include tag number and description. Proper signature of individual borrowing the property will be obtained indicating the borrowing department accepts responsibility and custody of the property. Condition of the item and date of expected return will be noted. Before approval by the Senior Vice President for Administration and Finance, the property will be screened by the Property Accounting Office to verify it is not federally-owned equipment or tied to an existing Federal award. If any other NMSU entities need the property, the property will first be offered to those departments. Central Property will register vehicles upon acquisition by NMSU. License plates for vehicles will be acquired by Central Property and forwarded to the appropriate department upon receipt. Transportation and Parking Services will maintain, on file, original vehicle registrations from Central Property.